The Eagle Hill Institute is located on the densely forested summit of Eagle Hill, the highest part of Dyer Point, the peninsula between the Schoodic Point section of Acadia National Park and Petit Manan National Wildlife Refuge. 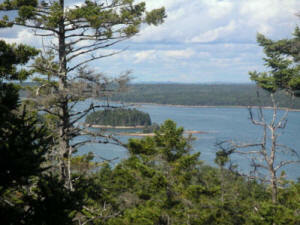 Trails lead from the summit of Eagle Hill to a number of overlooks offering inspirational views of the coast of Maine, with its rocky and evergreen-lined shore and its many islands, bays, and peninsulas. This setting is very conducive to scholarly and educational pursuits.